The team from Starfire Australia, travelled to America to see Starfire put its RS-R 1.0 tyre to the test against five popular brands of Asian-made tyres available in Australia. 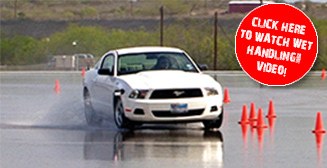 Just south of San Antonio, Texas, is the Tyre & Vehicle Test Center (TVTC), a 1,000 acre fully comprehensive facility for looking at all aspects of vehicle testing, whether it be tyres or aftermarket components. 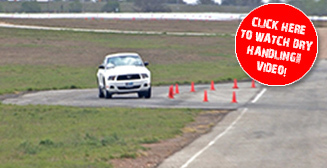 All aspects of a tyres performance and safety can be tested at the TVTC. Ryan, who has over 25 years of experience, was the test driver for all four tests conducted. The Starfire RS-R 1.0 was tested against five leading brands that are currently on the market. The five leading brands that Starfire was tested against were Nankang, Hankook, Toyo, Bridgestone and Kumho. All six brands were tested in all four tests. The tyre size chosen for all brands was 235/45R17, most common performance tyre size. To measure the results high tech equipment was used in the test car. The results of each test clearly highlighted the strength and quality of Starfire Tires against five other brands. 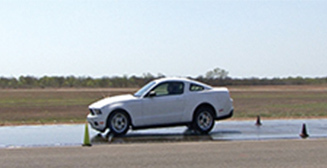 The four tests conducted were wet braking, wet handling, dry braking and dry handling. The performance of each tyre is crucial in each test as each test highlights real life scenarios that driver’s may come across on a daily basis. 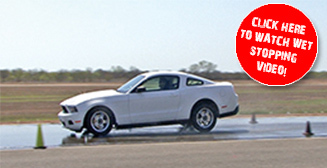 Starfire Tires performance in all four tests was exceptional. The results from the wet braking test are a clear demonstration of Starfire’s performance, with Starfire Tires stopping 8.82m shorter than the worst performing tyre. This distance is equivalent to 2½ car lengths. These results clearly highlight the importance of having a tyre not only tested to stringent US standards but also a US engineered tyre which can outperform five leading brands.